Formel 3 Vermarktungs, which ran the F3 European Championship on behalf of the FIA from 2013-18, has opted for the name Formula European Masters. F3V was shouldered out of the F3 hierarchy by the launch of the new FIA F3 Championship for spec cars, which will be promoted by long-time GP2/GP3/Formula 2 boss Bruno Michel on the Formula 1 support bill. But F3V pledged during the summer to continue running the 2012-generation Dallara cars for one more season - their FIA homologation does not run out until the end of '19. 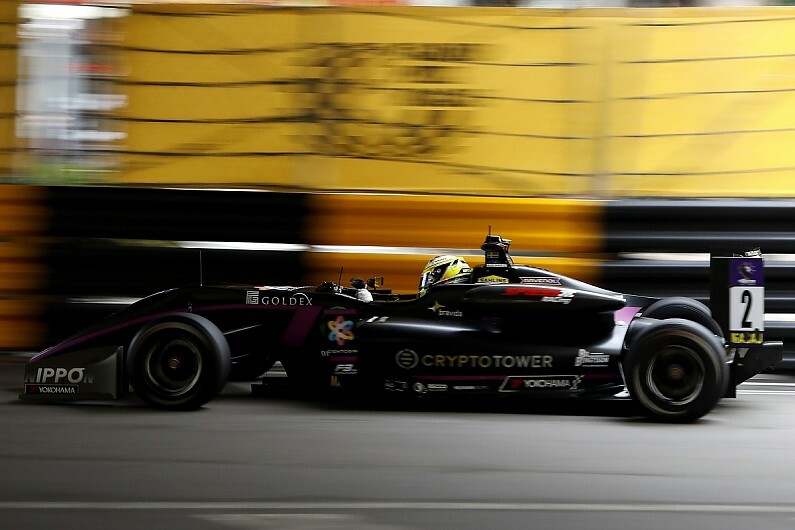 The question was over the use of the F3 name, as the cars do not conform either to the FIA's new International F3 rules or the Regional F3 category. F3V CEO Walter Mertes said: "The F3 single-seaters are extremely sophisticated, well-engineered and safe. "Our premium series on the highly professional DTM platform offers the young drivers perfect conditions and the chance of demonstrating their skills in front of the eyes of those responsible at top-class brands such as BMW, Audi and Aston Martin. "In addition, the Formula European Masters also benefits nationally and internationally from professional marketing and top-class TV partners." Long-time F3 teams Motopark and Van Amersfoort Racing have already committed their allegiance to the series. While Volkswagen has ended its customer-motorsport activities, it is understood that its engines - which Motopark uses - will be rebadged under the name of tuner Spiess, while VAR continues with Mercedes power. Two other championships will use the old-style F3 machinery in 2019. The Japanese F3 Championship will continue with the existing generation of cars, while Euroformula Open, which has traditionally used spec Toyota engines in the Dallara F312 chassis, is opening its series up to accommodate the Spiess and Mercedes powerplants as well.